Graphic Found on Joanna Corkran’s Living a Blessed Life Pinterest Board. Welcome back to another week of miracles in our community. 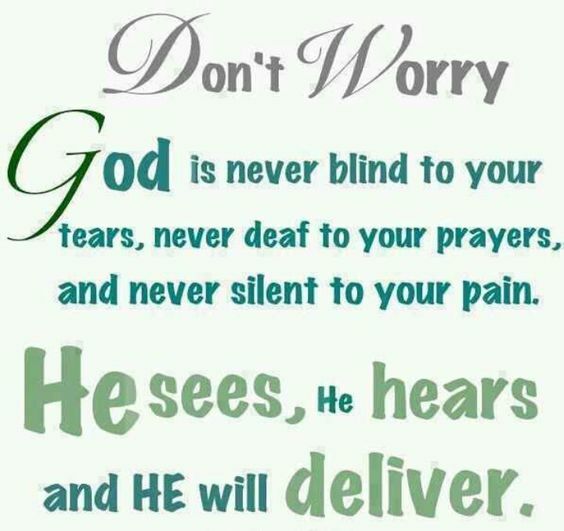 My God delivers in times of great need! He brings the right message right on time. I know I have filled my posts with a lot of my story of 2018; one of the most difficult years in my life. But, I am moving forward. 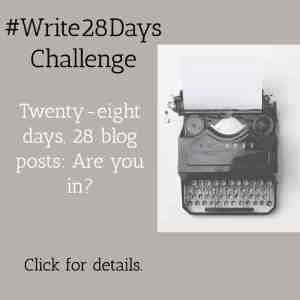 God has given me a great series for Write 31 Days via Kate Montaug’s 31 Days of Five Minute Free Writes writing challenge for October. I will share more about this in a special post later this week. It is amazing how God has used this time in my life to transform me and bring me to greater depths of faith. I will admit even as I write that line everyday I struggle with that very faith. Everyday, I have to pick of up my faith cross and determine I will continue on. Some days it is tough. I want to sit in a pity party and give in, but I will not do it. It is not because of my faith or my determination, though. It is because of the community of prayers that I find here every week. Christ put me in a wonderful, strong community where each of us create an international web chain of prayer and support! It is so real and life changing for me. To Christ be the glory because He uses each of us and our words in such miraculous ways. I growled less and loved more. Maybe like me, you are weary of the constant combat, and you want to find a better way to wage war. 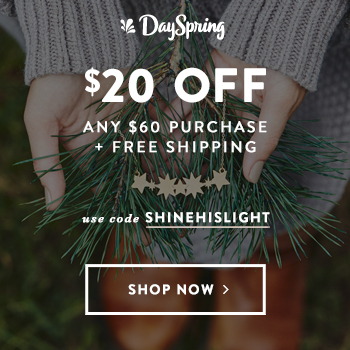 I want to invite you to discover a new heroine. Her name is Brave, and she wears a garment of praise rather than getting pushy. Brave lays down her sword and loves. Sometimes, your posts are downright scary in their timing. As I read this post, one thought ran through my head, “What is coming next?” I know that sounds paranoid. In the back of mind, I thought this post is here because God is preparing me for another calamity. Do you ever feel that way? I did until I got the crux of the post. Friend, I don’t know exactly what you’re going through. Maybe it feels like the harvest will never come. Maybe if feels like all hope is lost. Perhaps you want to “let go” or give up. But what if you need to hang on a little longer? 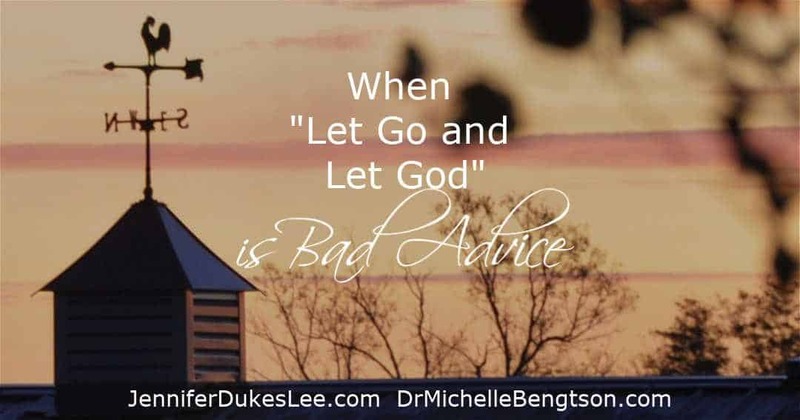 If you have had read my blog in the last few weeks, you know the trials I continue to face; but, now, God has delivered a mighty word through Dr. Michelle and Jennifer. I am hanging on through these storms because God’s Glory is at the End of the Rainbow and a great harvest is coming in my life and in yours too! Want to be the next to be featured! 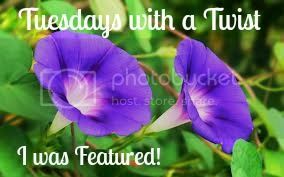 Just link up a post and if you are read the most, we will feature you. Also please make sure you link back to our community so others will know about our link up and join in. I will try to make it worth your while to linkup by promoting your posts across my social media networks. I will also pin my most clicked and featured posts to our #LMMLinkup Pinterest Board each week! I am also opening up the board to you. 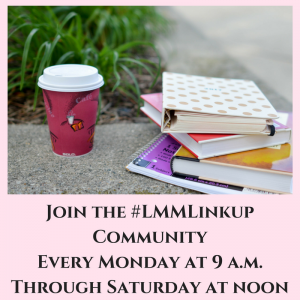 If you want an invitation to join the #LMMLinkup PInterest Board email me your Pinterest information at marykatbpcsc45 @ gmail (dot) com. Because you have trusted and believed in Him,you will overcome all.Be encouraged in the Lord. Back from a blog rest 😀 & just catching up. I can relate to your struggle, although of course each of our journey’s are uniquely our own. Jesus tells us that blessed are we who continue to look to Him in faith & hope each day when everything is challenging us to do the opposite. Thank you for sharing your open heart with us all here, Mary! You are living out the very meaning of the community that you have joined together here. May we all continue to lift you in our prayers, and to remember to pray for each other, our fellow bloggers! Blessings to you today. BettieG, thaks so much. I am praying for you and your family right now. I lift you up . Whatever trials you face, God will deliver. Amen. Thank you so much for your prayer. 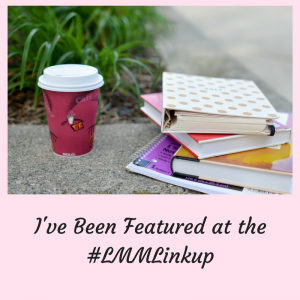 Mary Hill recently posted…#LMMLinkup: My God Delivers! I am so glad to hear you are hanging in there and sharing as you go. Mary, I am sending prayers for you right now. Maree Dee, I pray God’s special blessings on you. If you are in financial need, I lift that up to Him. If you are in need of healing for your family or you, I pray for that as well. I know God will continue to bless you. Amen. Maree Dee, I also pray for you as a minster of Jesus. That God uses your talents as a writer to reach the world for Christ. So sorry to hear about the difficult times you’re going through, Mary but I’m encouraged by your faith. Keep up the good fight, dear friend. Marva, thank you so much. I uplift you in prayer as well. I know God uses your writing in marvelous ways. I pray special blessings on your family and you. I pray He meets your every need this week. Amen. Mary, like you, I have learned in the hard times to trust God more and know Him better and deeper. Recently, I’ve watched someone I love go through a very difficult time and it’s been hard to keep my hands off and not want to go give the person causing the issue a piece of my mind. Besides the fact that I need all the pieces I have left (LOL), I knew I needed to trust God and that He would use it for good. I’m beginning to see that happen. I look forward to hearing more of the testimonies God has for you. Donna, I pray peace in the situation you are mentioning. I pray God bestows wisdom on the person whom you feel is causing the issue. I pray resolution. I also pray that God will continue to meet all your needs according to His riches and glory. Amen. 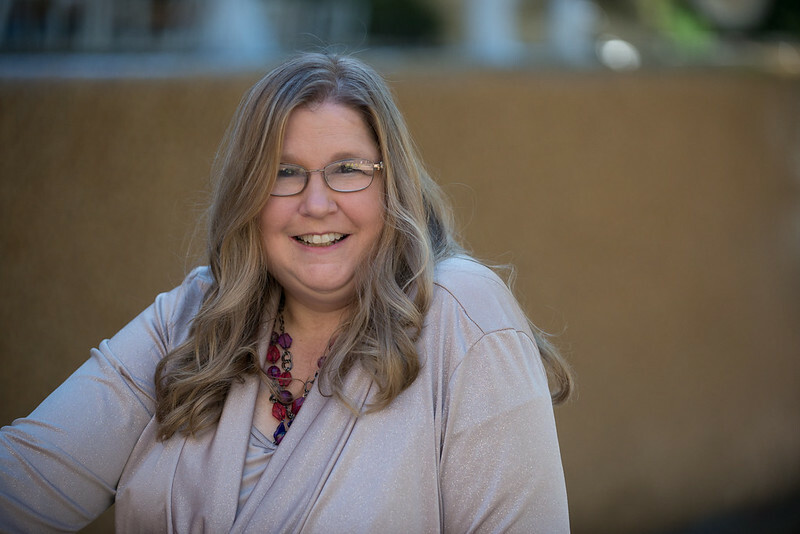 Donna, I also pray for your ministry as a Christian writer and blogger. I pray that His Glory be shown through your diligent ministry to others. Excited to see the good, faith-building things God has in store for you! Praying for a new freedom and joy in this season! Rebecca, Thanks so much for your prayers. I am praying special blessings on you today and that God uses you mightily in your ministry. I pray for financial and health needs too that your family and you may face this week. Amen. In one of the books I linked to, The Scars That Have Shaped Me, the author mentions that God sometimes delivers us out of a situation (our preference), but sometimes He sustains us through it. The latter is just as much a demonstration of His grace and power and as much to His glory as a miraculous deliverance. It’s so good to see how God is sustaining you day by day as you walk with Him through these trials. Barbara, thank you for the wonderful word. I pray God will sustain you and carry you through any trials that you may face today. I pray for financial and health needs. I also pray that He will bless you in your writing ministry. Faith is a brave thing, Mary, so thanks for taking one faith-filled step after another today! Blessings to you as you share encouragement from a full heart! Michele, thank you so much for visiting and uplifting me today. I pray for you and your family. I pray for financial and health needs. I also uplift you as a writer and pray God will use your words to help others. In Jesus Name, Amen. Thanks so much for your continued support and encouragement. Again!